Elation Professional continues to make advances in its Platinum discharge range of high-powered yet energy-efficient moving heads with launch of the Platinum Profile 35 Pro, a full-featured professional lighting fixture with flexible framing system. 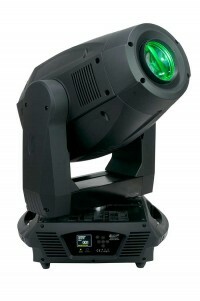 Powered by the new Platinum 35 MSR lamp from Philips (800-watt), this moving head profile features a rotating four-blade framing system that allows for full control of the beam shape. Useful when framing set elements and performers, the adjustable system allows for refinement of the beam shape while rotation allows for projection at any angle. The Platinum Profile 35 Pro runs at 800 watts yet delivers an output comparable to 1,200-watt moving head profile MSR fixtures. Combine that with the sharpness from a high-quality optical system and the Platinum Profile 35 Pro is ideal for a wide variety of professional stage and touring applications. The Platinum Profile 35 Pro includes all the professional features you would expect from a high-power profile luminaire and then some. Housing an 8°-50° motorised zoom with auto-focus for tight to wide projections that stay sharp throughout the entire zoom range, the fixture delivers over 20,000 lumens of power. Yet like all Elation Platinum Series fixtures, it is extremely energy-efficient relative to its output. A CMY colour mixing system with variable CTO gives a wide palette of colour options with additional colours available from a static colour wheel with eight interchangeable dichroic colours, including UV and CTB. A variety of graphical looks is possible from two gobo wheels with six interchangeable, rotating and indexing glass gobos, three fixed indexing gobos plus a 160° animation effect. A host of other effects and beam manipulation can be achieved using the fixture’s frost filter, three-facet rotating/indexing prism with 16 prism macros, strobe, iris and 0-100% mechanical dimmer. The Platinum Profile 35 Pro is packed with a host of standard features that makes a lighting professional’s life easier like pan/tilt lock, 3-pin and 5-pin DMX connections, PowerCon In, and a universal auto-switch power supply. It also includes a built-in EWDMX wireless DMX receiver that allows the fixture to receive DMX signals wirelessly from up to 3,000’ when used with an Elation EWDMX transmitter. Three DMX channel modes (37/39/60) are available for versatile programming, and the fixture can also run manually via on-board programmable features. The Platinum Profile 35 Pro features built-in auto program macros, as well as giving the user the ability to manually create their own programs on-board for stand alone applications. A six-button touch control panel with a full-colour 180° reversible menu display makes it easy to navigate through DMX and manual settings and as an added convenience, the display has its own rechargeable battery backup for adjusting menu settings without main power to the fixture. The Platinum Profile 35 Pro is covered by Elation’s two Year Warranty and Total Support.